The advent of a wide range of cooking appliances has undoubtedly made it easier for all of us to cook delicious foods conveniently. With so many options available in these products, it is entirely our decision to pick the apparatuses that will somehow make our culinary tasks effortless. Some of these appliances are designed to complete one particular job whereas others enable us to do various errands at a time. 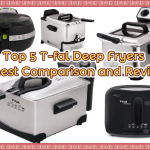 Here, we have reviewed one such multi-utility cooker with numerous inbuilt features. It does so many things that you will find it immensely practical in your kitchen almost every day. From steaming to deep frying, you can count on this Presto 06003 Options Electric Multi-cooker/steamer for a lot more cooking methods. This countertop appliance is smartly engineered so as to maximize your cooking skills and reduce the sweats that different types of cooking require. This state-of-the-art Presto 06003 comes with many beneficial features that are not only incorporated for ease of use but can carry out a range of cooking jobs in minutes. 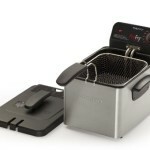 It can be used as a deep fryer, electric cooking pot, vegetable steamer and pasta cooker. The temperature for this amazing cooker ranges between 0°and 400°. The temperature of the cooker starts decreasing as soon as you remove the lid which is then maintained automatically because of its heat control adjusts. The tempered glass lid is made from unbreakable glass which lets you take a clear look inside the cooker to watch your cooking process. 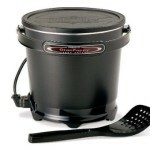 The multi-cooker/steamer consumes 1300 watts of power and requires 6 quart capacity. 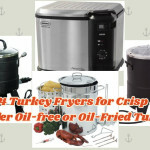 You can use this cooker for deep frying up to 6 servings at a time. 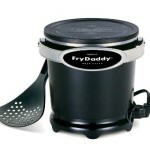 A high-quality cooking basket comes with the cooker for deep frying, steaming and blanching. 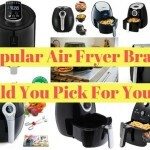 So, you can easily steam, blanch or deep fry vegetables, pasta and other such items. 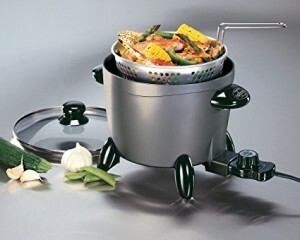 The body of the cooker is fabricated from durable and hard-wearing cast aluminum. Both the interior and exterior feature nonstick coating for easy and smooth cooking. Automatic temperature control always adjusts the cooking temperature accordingly. The manufacturer gives one year limited warranty on the product. All the components of this cooker are dishwasher safe except its removable heat control panel. The cooker performs all its frying, cooking, and steaming tasks in the most remarkable way possible. The compact design of the cooker also makes it hassle-free to conveniently store the equipment in a small space of your kitchen. 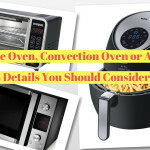 The nonstick coating of the cooker featured inside and out makes it extremely painless to clean the appliance after use. Put all the three parts i.e. the pot, the basket, and the lid in the dishwasher and you are good to go. The package also includes instruction manual along with the information relevant to cooking time and some of the easy and delicious recipes. Although Presto 06003 Options works exceptionally well when it comes to doing various cooking types in kitchen, there are a few drawbacks felt with the appliance by the consumers themselves. Due to the basket handle, it is not possible to completely seal the cooker with its lid. The handle snaps onto the rim of the pot. Thus, it is not recommended to use this cooker for steaming poultry or seafood. If metal utensils are used along with this pot in the dishwasher, there is a chance for coating to flake off. Pot also gets hot while cooking because of its cast aluminum body. So, always use pot holders to handle this equipment. 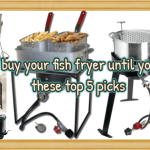 The temperature can reach up to 400 degrees while deep frying. This is more than the smoke points of various frying mediums. So, if you aren’t sure of the smoke point of what you are using, you can find difficulty using the product. 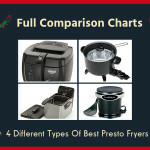 Presto 06003 Options is unarguably one of the most passionately recommended kitchen appliances for all those who love creating magic in their kitchens. The advanced heat control featured in the pot is magnetically attached and can be pulled off in case you need it to wash. The steamer basket is very sturdy and great for your fries and other un-battered items. 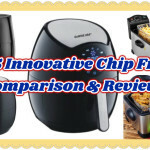 Consumers have loved its wide range of cooking options because they can now, cook, steam and fry all with this single apparatus and don’t have to undergo the cumbersome ordeal of using different utensils for different tasks. The only drawback that consumers have mentioned in their reviews is regarding its high smoke point. But it is actually not a problem with the pot. With the clear idea of the smoke point of what you are using, you will find no difficulty while operating the appliance. 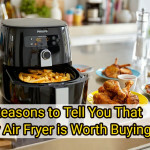 Overall, consumers are rice cooking, braising, simmering, blanching, steaming and frying happily that too with the convenience of just one appliance. So, even if your preferences vary in terms of food and cooking mediums within your family only, this product will make sure that everybody gets what they love the most. 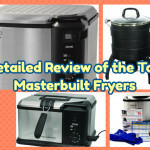 After going through this detailed review of the Presto 06003 Options Electric Multi-cooker/steamer, you know all the benefits and uses of the product now. It is extremely easy to take your decision because now you have the complete know how of the multi cooker and how it can benefit you. And we will also recommend you to include this amazing multi cooker in your personal range of kitchen appliances. This will not only make cooking an easy task but will also enhance your overall cooking experience. 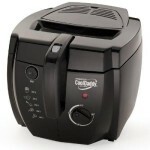 It has the capacity to make cooking as hassle-free and quick as possible.